We are acknowledged for offering metal fabrication services to our esteemed clients. Our qualified engineers, technical staffs have profound knowledge and expertise in meticulously designing from cost and performance point of view. We fabricate our array with the best quality raw materials and are high in performance and demanded all across the country. Our organization hold expertise in delivering unmatched Grill Fabrication. Our experts offer these services as per the needs, drawings and specifications given by the customers. 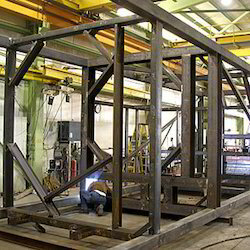 Metal Fabrication Works - Tippers & Trailers even cater their services in the field of Heavy Metal Fabrication. We are one of the topmost organization rendering SS Fabrication Services to our valued clients. These services are offered using high quality machines and latest available technologies. We have an elegant team to perform these operations. Our offered services are widely appreciated by our clients and we offering these at most competitive prices. We are engaged in offering our clients a service array of Aluminum Fabrication provided by us are valued for their optimum functionality, reliability and dependability. 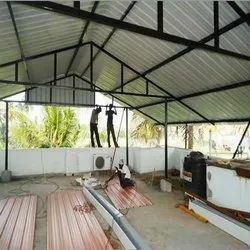 These involve the usage of aluminum and are designed to meet the requirement of fabrication industry and are executed by our team of professionals. Leveraging on sound experience of this domain, we are offering Grill Fabricators installation services that are executed employing advanced equipment and technologies. Opting for these services, our clients can get installed grills of various shapes, sizes and designs. Moreover, our fabricated grills score high on durability, wear & tear resistance and tensile strength.